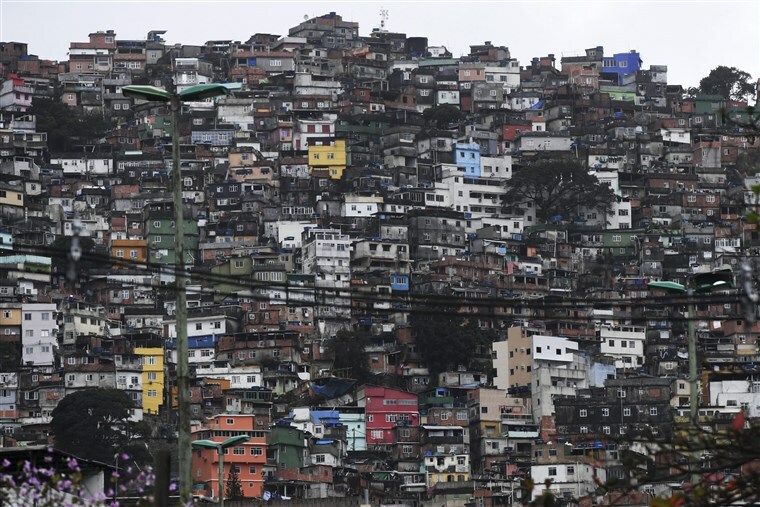 The Rocinha favela near Ipanema Beach in Rio de Janeiro, Brazil. Courtesy of Dean Lewins and NBC News. One of the greatest challenges for climate change adaptation is how to build resilience for the billion urban dwellers who are estimated to live in what are termed informal settlements. These settlements have been built outside the ‘formal’ system of laws and regulations that are meant to ensure safe, resilient structures, settlements and systems. But how is it possible to build resilience for those living outside the formal systems and usually working within the informal economy? This paper*, which was prepared for the IPCC for the International Scientific Conference on Cities and Climate Change in Edmonton (March 2018), discusses avenues to address climate change adaptation and mitigation in urban informal settlements. *Download the full paper from the right-hand column. Key sections are summarised below - see the full text for a much more detailed discussion of challenges and recommendations. Informal settlements and economies make up a significant portion of the Global South’s urban population. For example, in Dar es Salaam, 70% of the urban population resides in informal settlements. Informal settlements are diverse in their physical makeup. Commonly, these settlements are built on the urban periphery, on land that is low-value. Alternatively, formal structures may be informally occupied (for example, the Hotel Cambridge Occupation in São Paulo, Brazil). The nature of informal settlements also means that they are at increasing risk of the impacts of climate change. Informal settlements arise because there is a lack of decent affordable housing in the urban centres in which they occur. People cannot afford to pay for the housing stock available, and thus turn to informal housing. Physically, informal settlements face risks that formal settlements do not. These risks include lack of services like piped water, sewage and storm systems; public and green spaces; safe transit networks; and safe structures. Moreover, informal settlements are often located in areas that are low-value to developers so that the risk of eviction is less likely. These areas may be on steep hillsides or in areas prone to flooding. Climate change is increasing these vulnerabilities. Increased risk of flooding and landslides, increasing temperatures and heat waves, increased storm events and wind speeds, and changes in water availability are especially impactful in informal settlements given the nature of their location and the lack of infrastructure capability to cope with these events. Additionally, these risks are exacerbated because of the specific vulnerabilities faced by residents of informal settlements. Namely, residents populations are often excluded from many formal systems that can increase their resilience. Without a recognized legal address, many people cannot open a bank account, are ineligible to receive public services or funds, and cannot become registered voters. As a result, they may have decreased capacity to respond to these events and increased stressors. Upgrading informal settlements can range from providing rudimentary infrastructure to a full array of ‘risk-reducing infrastructure and services. Government-led upgrading is a possible,although it requires local governments to acknowledge the validity of informal settlements to some degree. Upgrading can indirectly address climate risks (e.g. sewers and storm drainage systems), but climate adaptation can also be actively included in upgrading schemes. However, government may not have the capacity to upgrade informal settlements, or may continue policies of ignoring or evicting them. Alternatives to government-led upgrading include community-led upgrading and NGO-led upgrading. For example, communities have designed and managed their own toilet and washing facilities. Additionally, they can document and map informal settlements. NGOs can also support upgrading. For example, the Orangi Pilot Project Research and Training Institute worked with inhabitants of informal settlements in Karachi to plan, implement, and finance internal components (small pipes in the home) of sanitation systems and then collaborated with the local government to finance and implement the trunk infrastructure (e.g. sewers and piped connections from the home to main sewage lines). Typically, compact urban form is advocated as a way to mitigate climate change. However, informal settlements and corresponding cities often have high population densities that do not serve their residents and increase their risk from climate and other hazards. That said, climate commitments can create opportunities for pro-poor planning and policy. Walking and cycling are safe modes of transit in informal settlements, and are low-carbon. Encouraging and increasing the safety of these types of transit is important. Moreover, renewable energy’s modular design could allow residents of informal settlements to supply their own energy. Urban ecology and ecosystem-based adaptation can provide new employment opportunities and mitigate environmental risks in informal settlements. However, the high up-front costs could hinder deployment of these technologies. Governments and NGOs can help overcome upfront costs through micro-credit schemes and subsidies, expert support in design, and through direct cash transfers to communities that allow them to direct that funding to their infrastructural priorities. Maintaining inclusive processes is essential when pursuing upgrades of informal settlements. It is necessary to consider who is excluded or disadvantaged in accessing housing, land tenure, and financial services. In this way, political and financial decentralisation can be useful. For example, the co-production of infrastructure and services – where local governments work with NGOs and communities gives communities more power to address their priorities while also addressing the fact that many local governments may lack the funding or capacity to enact these programs one their own. Additionally, both local governments and communities need access to climate information to better understand potential impacts so they can make appropriate decisions. Community-based mapping and documentation can help to support collaboration with local governments’ provision of services – if there is a trusted relationships between residents of informal settlements and their local government. Figure 1. The four agendas related to the IPCC Cities conference, for which this paper was written, and how informal housing fit in. Source: Satterthwaite et al., 2018, p. 50. Satterthwaite, D., Archer, D., Colenbrander, S., Dodman, D., Hardoy, J. (2018) IIED. Paper prepared for the IPCC for the International Scientific Conference on Cities and Climate Change in Edmonton, March 2018.